Paul Weller is currently on track to knock US rapper Eminem off the top of the UK albums chart with his latest release True Meanings. Weller’s 14th solo album currently has a lead of 3,000 combined chart sales over Eminem’s Kamikaze, according to an official chart update. The former frontman of The Jam and The Style Council is lagging behind Slim Shady in terms of streams but has a huge lead in physical formats including vinyl. 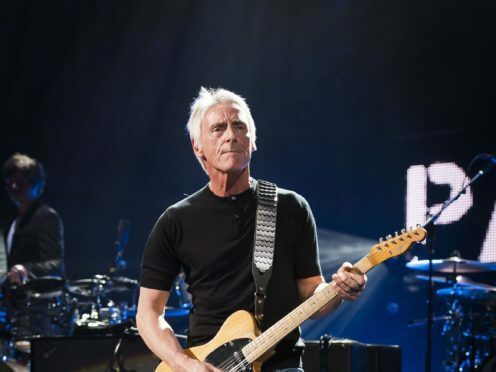 If it is able to hang on until Friday, when this week’s completed chart is published, True Meanings will be Weller’s first chart-topping LP since 2012’s Sonik Kicks and the fifth of his solo career. Electronic music artist Aphex Twin, real name Richard James, is on pace for his first top-five appearance with his Collapse EP. Manchester indie pop band Pale Waves are just behind him with their debut record My Mind Makes Noises at number five. Electronic duo Orbital are in line for their highest charting album in nearly 20 years. Their latest release Monsters Exist, their first in six years, is currently at number six. There is little change at this stage on the singles chart with Scottish DJ Calvin Harris and singer Sam Smith set for a third week at number one with Promises. US producer Benny Blanco is also set to stay at number two with Eastside while Kanye West and Lil Pump’s I Love It is another non-mover at three. On the rise and hoping to nail down a place in this week’s top 10 is In My Mind by Lithuanian music producer Dynoro and Italian DJ Gigi D’Agostino. The update shows the song is up six places to number eight while Jess Glynne’s All I Am also jumps up two spots to number nine.